Being an oily skin gal, I have always struggled to keep my makeup stay on. 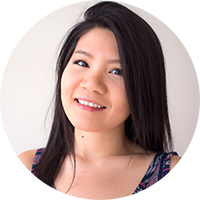 Using my current foundation routine, it doesn't stand a chance, especially in this Summer heat (and humidity). 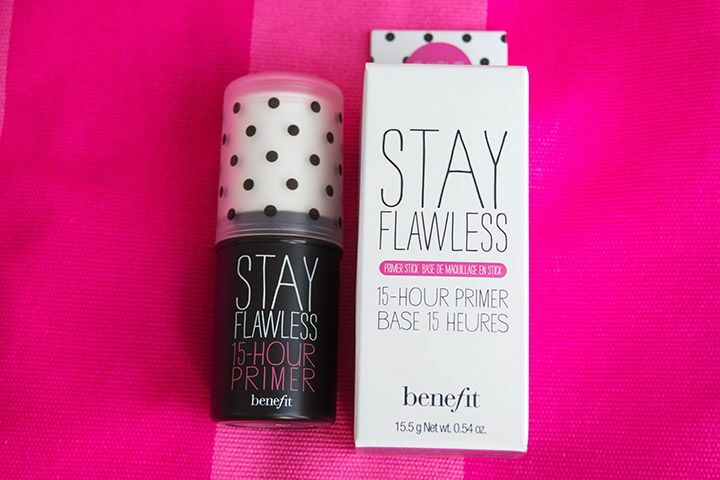 To everyone who's having the same problem, Benefit might have a solution for you with their new Stay Flawless 15-Hour Primer* (CA $38 / US $32). 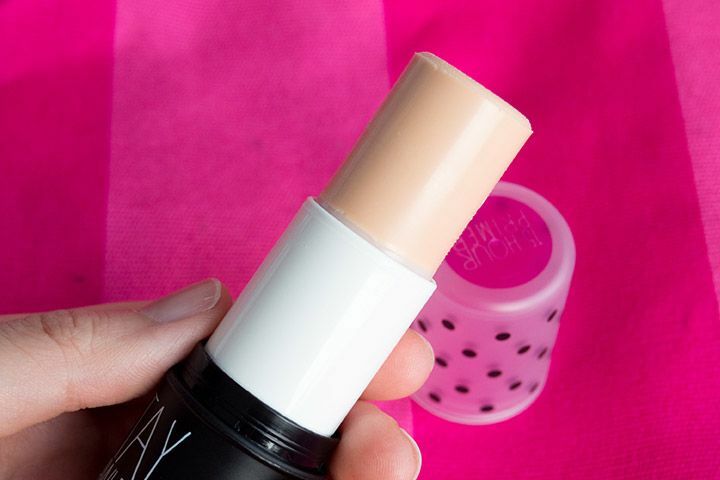 This innovation claims to work like a magnet to help your makeup stay on longer. So I put it to an ultimate test... on me :). 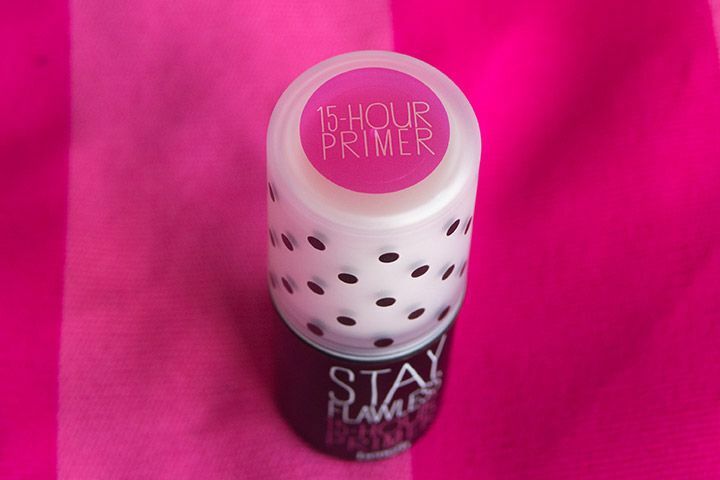 The formula of the primer is quite interesting. It has a slight cooling effect when you first apply it. It feels a little sticky at first but the feeling goes away after it's set. I am very sensitive to "heaviness" of a product, and because it's sticky, it feels a little heavy at first. But like the stickiness, it goes away after it sets. I have never used a stick primer before, but it's pretty intuitive. 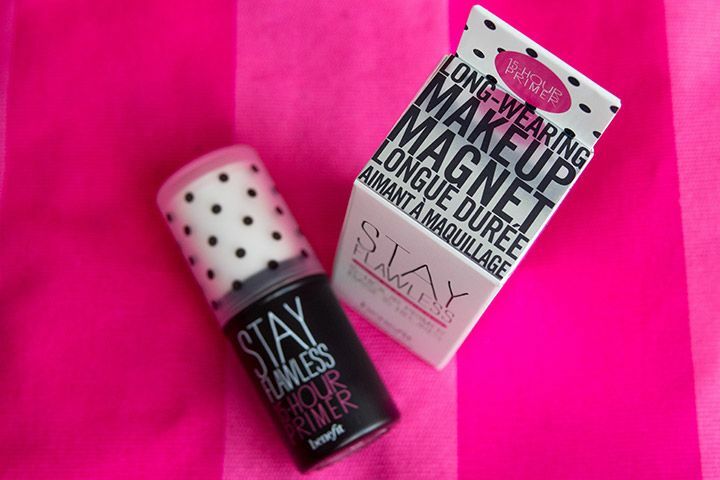 You just glide it on your face and blend it out with your finger and a brush. I prefer using a synthetic brush, such as Sigma F82 or the Buffing Brush in Real Techniques Core Collection, because I find that it makes a more even application. 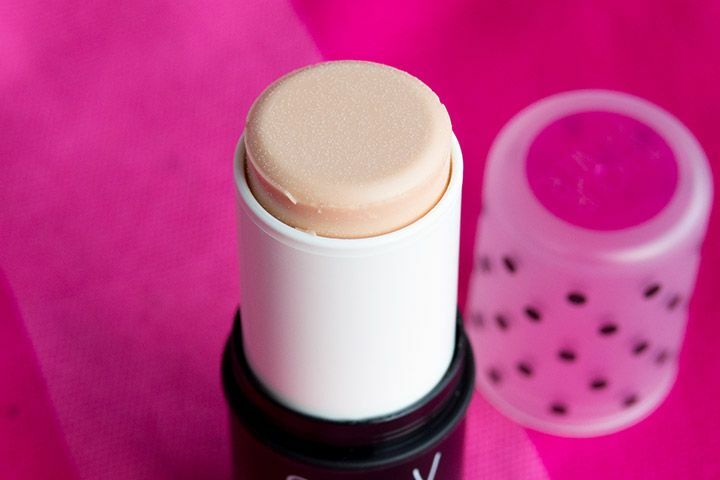 A pro tip from Benefit is to quickly blend your liquid foundation on top of the primer before the primer sets to lock-in the foundation. The result? It does a pretty good job keeping my makeup on throughout the day. It's quite strange because it doesn't seem to excel at controlling sebum excretion but it does keep the makeup on regardless. I do have to blot throughout the day, which I do that anyway. But the coverage seems to stay on better than when I'm not using the primer. Because of my oily skin, I find that it works the best with powder foundation. 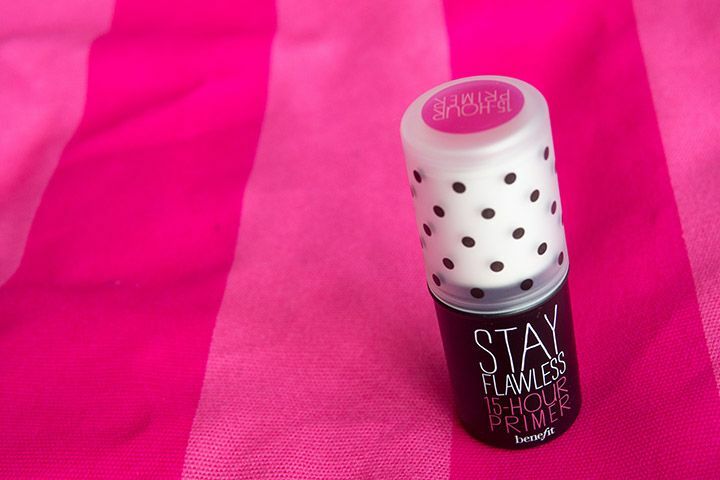 Overall, I feel that Benefit Stay Flawless does a great job at keeping you look flawless. However, it is not the best in oil control (nothing is for me anyway :/). It feels sticky at first but it is weightless once it's set. Makeup still look relatively fresh after hours of application, but for me, blotting is still necessary throughout the day. 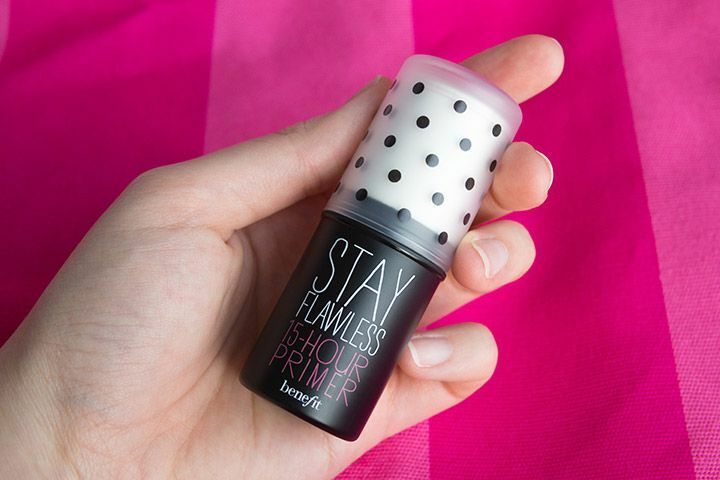 It works well with all types of foundation, but I prefer to use it with powder. I will for sure be putting it into good use this Summer because it helps me stay flawless in the heat. *Disclaimer: Products mentioned in this post were provided to The Office Chic for review consideration (noted with asterisk). As always, all the opinions expressed here are my own and are in no way influenced by any advertiser, affiliate, public relations firm or brands. Product reviews, especially for new products. reviews!!! i love to hear about new products!!! thanks for sharing coz it helps find what suits my skin... great review.